Livvy Tate is a girl who could make things float… Unfortunately, for her parents and the long suffering town she calls home, this super powered young girl is less than responsible when it comes to using her powers. But when Livvy's parents decide that enough is enough, will she listen to reason and finally take responsibility for her actions? 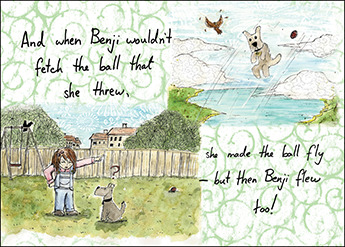 Through this fully illustrated story we see one child learn that everything you do has an effect on the world and that ultimately you can make a difference by sharing what makes you special, with those around you. 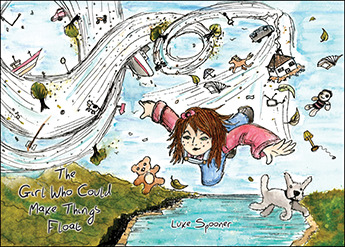 Luke Spooner is an award-winning author and illustrator who has talents that no one else can rival. Tipped to be the next big success, his engaging creations fill the hearts and minds of many. His high quality illustrations accompany short stories that even established and classical tales are having difficulty to contend with. 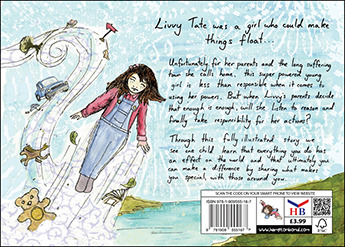 The Girl Who Could Make Things Float is a beautifully crafted story focussing on a superpower that every child wishes they could have. 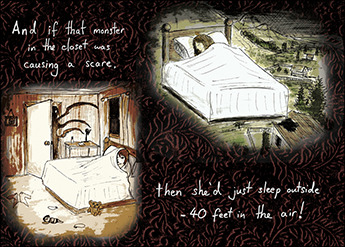 This much loved tale is a ‘must have’ for all children and schools.